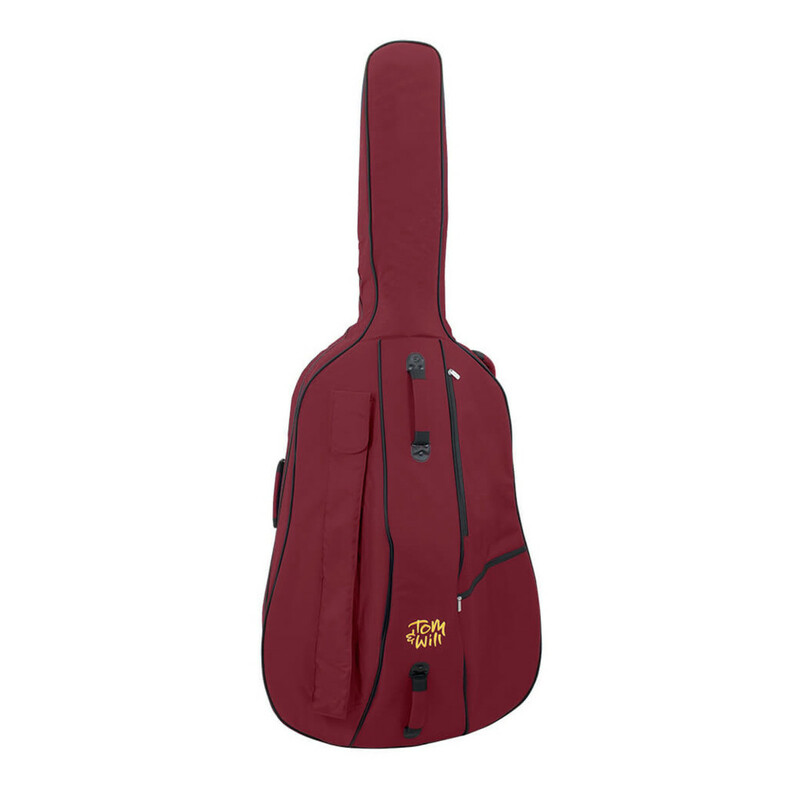 The Tom and Will Burgundy and Black 3/4 size Double Bass Gig Bag provides ultimate protection whilst being lightweight, practical and economical. It is packed full of protective features and accessories including the new RCS handles, easy heavy duty single zip opening, high density padding and two front lined pockets. 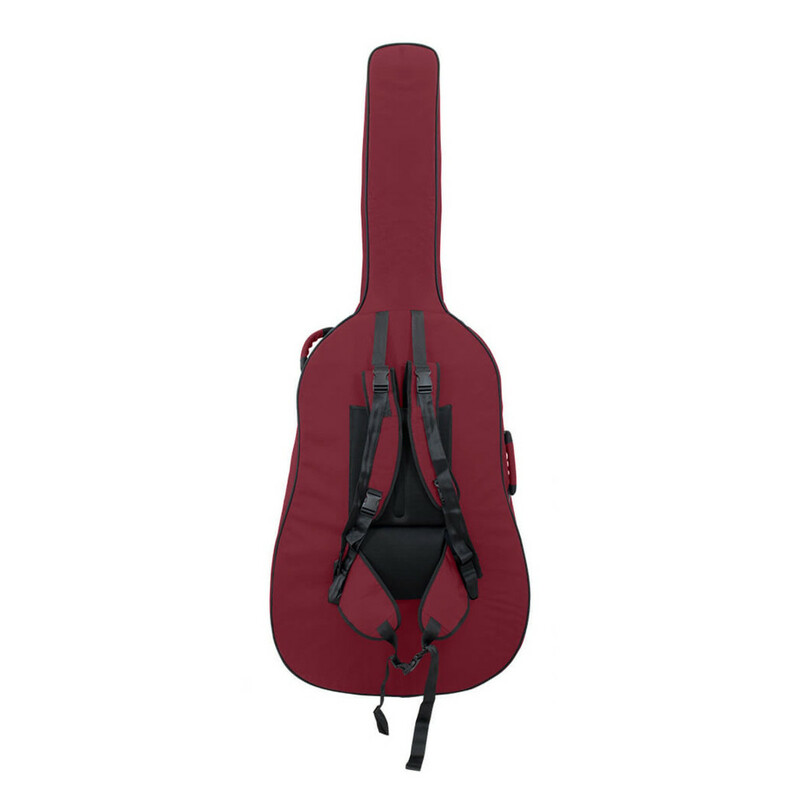 After investing considerable time and effort into making sure that the straps and handles aren't just comfortable, the straps and handles are all riveted as well as cross stitched with high tensile threads to make them more durable. So you can comfortably take your bag anywhere with no worries of the straps or handles breaking. The hideaway backpack and shoulder strap carrying system has been designed to fit anybody. The easy tightening and loosening pull straps allow you to wear your bag like a rucksack or you can wear it over your shoulder using one strap. The straps and pulls can disappear out pf sight by tucking them away inside the added breathable back pad. Fitting most common size double basses, this case is perfect for musicians who want to keep their instrument safe and comfortably be able to transport it from place to place.